You can probably tell from my wedding dress shopping experience that Michael and I are taking the non-traditional route for our wedding in a few different areas. We’re getting married in The Bahamas, which lends itself to a more laid back vibe. (If you missed my post on choosing a destination wedding location, check it out here!) One of those areas where we went a little non-traditional was on our wedding invitations. I chose to skip out on the calligraphy and formal invitations. Instead, I wanted something modern and fun to go along with the general vibe of the wedding weekend. Minted is my go-to destination for greeting cards (see my holiday cards here and here!) so I started there. 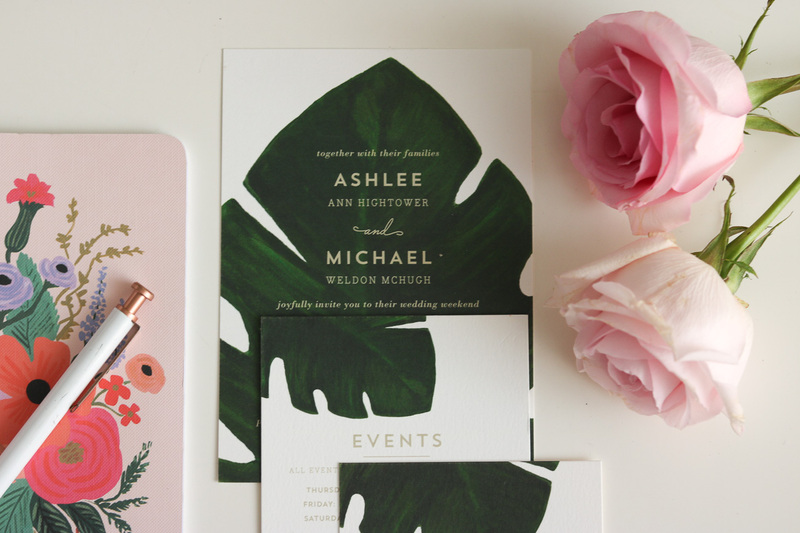 Once I began browsing Minted’s wedding invitation collection, I knew I’d find something I loved. 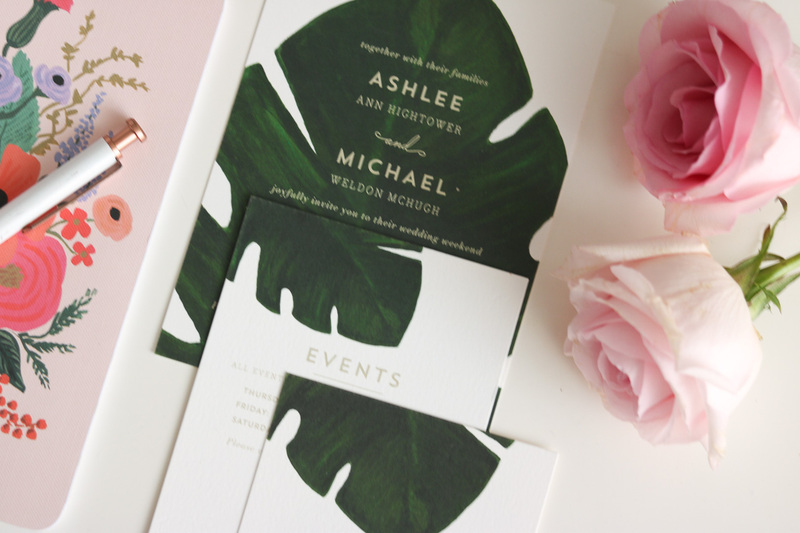 Minted has a large selection of destination wedding invitations. When I came across this giant palm art print by Kaydi Bishop, I knew I’d found the one. 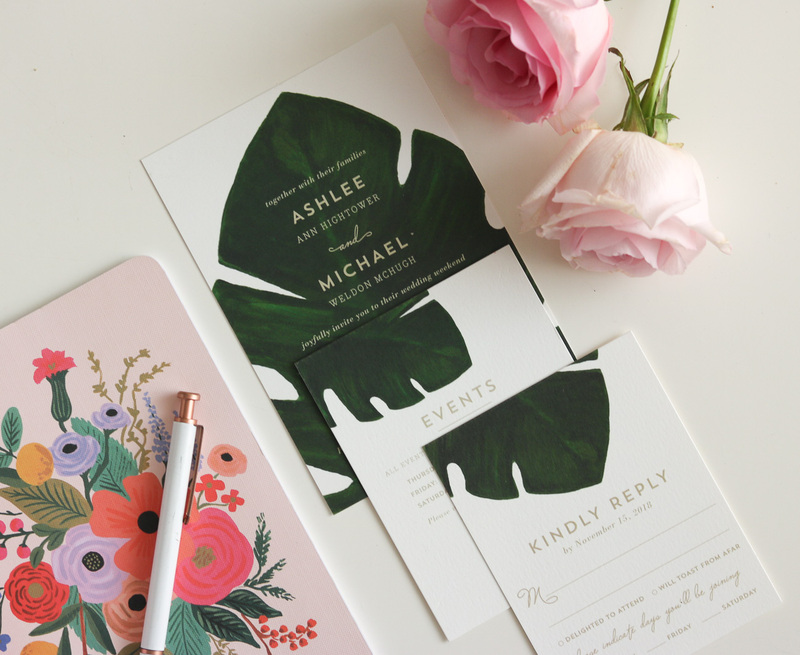 Having the invitations designed by an artist was such an added bonus (she’s located in New Jersey). I love that Minted sources their invitations from artists around the country. The design process was incredibly simple! I knew we needed not only an invitation and an RSVP card, but because we’re having three days of events, we needed an insert card to explain what was happening on each day of the wedding weekend. I choose to customize the “direction card” to make it fit our needs. The wedding invitation itself was super easy to customize. Next, I added a few personal touches to the RSVP card with blanks where the guest could indicate what days he/she would be in attendance, Thursday, Friday, Saturday. I customized the direction card to read as the Events card. On the Events card, I listed out the rough itinerary for Thursday, Friday, and Saturday. I also included our wedding website information so that guests would know where to go to book their accommodations. 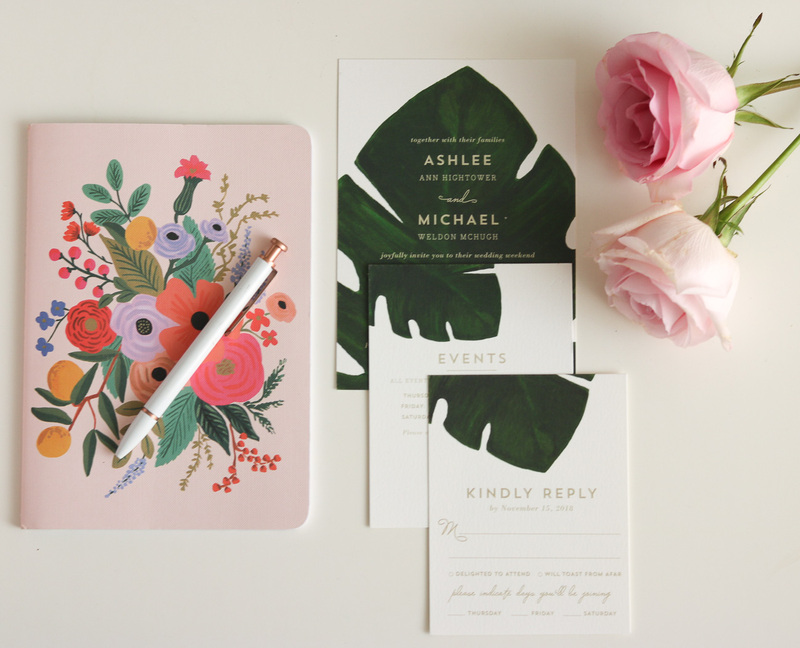 Minted does have space constrictions on some of it’s designs, but it’s not a huge deal because Minted makes it very easy to contact the artist for further customization! I messaged Kaydi through Minted’s platform to let her know what I was trying to accomplish with the Events card. She provided a proof of the invitation, the RSVP card, and the Events card. All looked perfect! 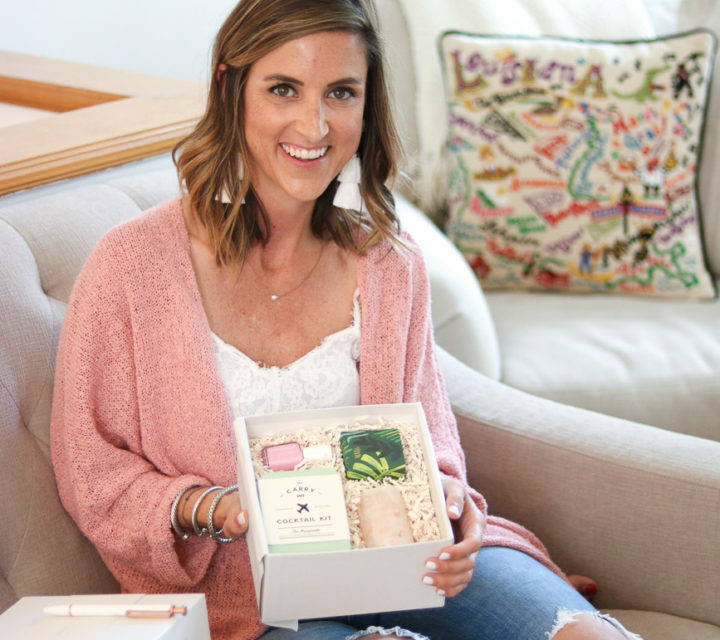 Another perk to using Minted is that you can upload all of your guest’s address information along with the RSVP address information, and Minted handles all of the addressing! I picked a fun, cursive font for the addresses. There are tons of fonts to choose from! It took me a total of two days to iron out the design process. The invitations along with all of the inserts arrived within one week of ordering! 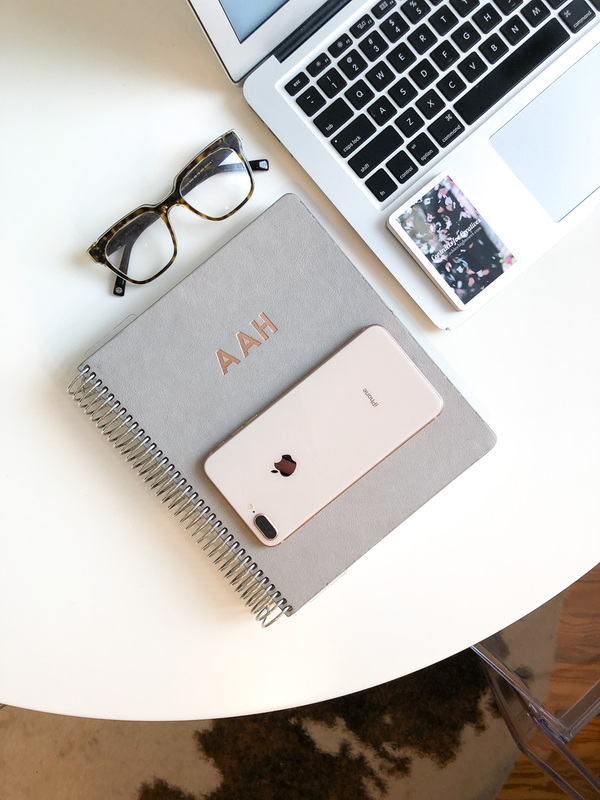 Throughout the wedding planning process, my goal has been to make it as stress-free as possible. Although planning the actual guest list was a bit stressful, the invitation process was not. I love how our invitations turned out! You may be wondering about Save the Dates. We chose not to do Save the Dates since our wedding is fast approaching. We’re getting married in January, and honestly, I thought it was a bit of a waste of money to send out a Save the Date and then almost immediately follow up with the wedding invitation. 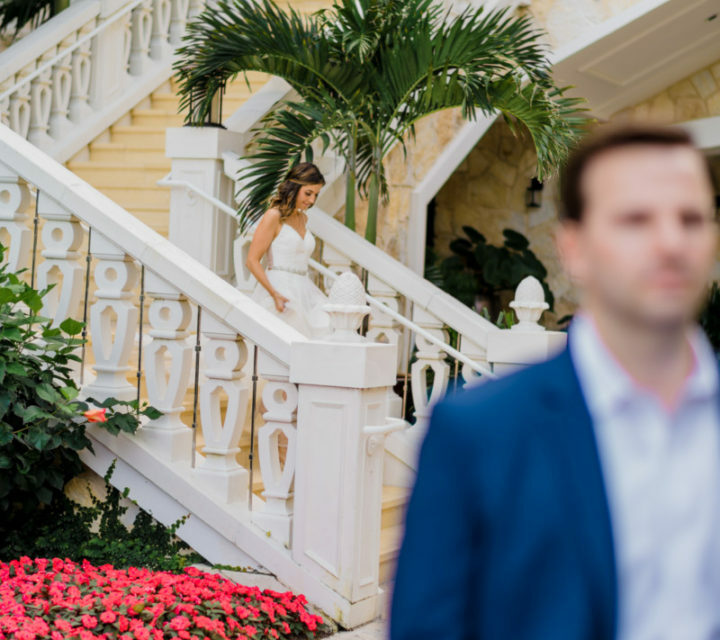 Since it’s a destination wedding, we wanted to provide our guests with all of the information at once with plenty of time to make travel plans to attend. 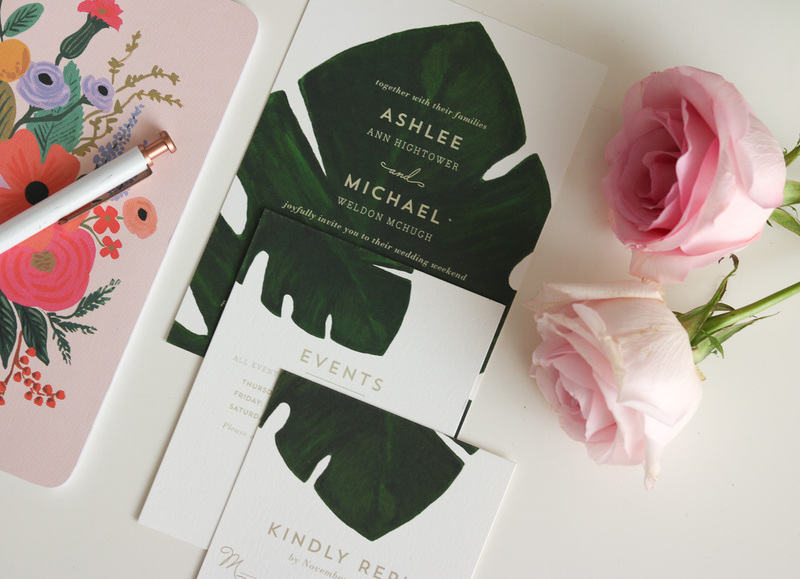 With that said, Minted offers tons of great Save the Date options if that’s something you’re interested in including! 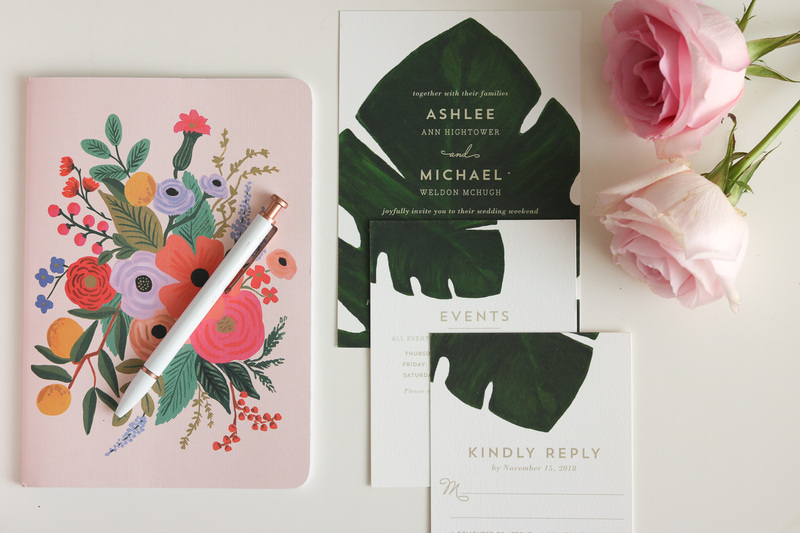 I LOVE the design you picked – it’s perfect for a tropical destination wedding!! 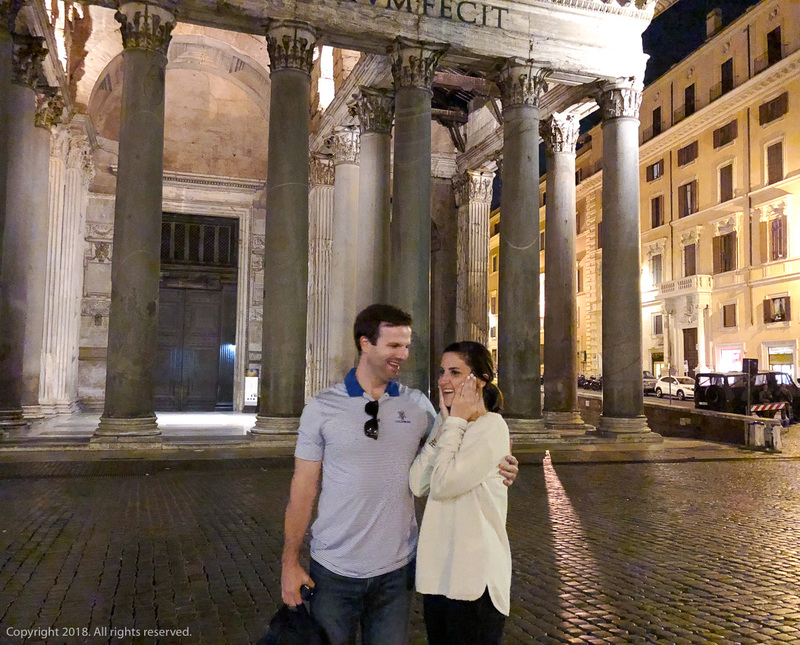 We actually did the exact same thing with our “directions” card from Minted – we turned it into a “Wedding Weekend” itinerary and then directed people to the website to find accommodations and travel information (and, of course, I’m working on a post on mine, too!). Thanks Heather! ha Great minds think alike! Can’t wait to see what y’all chose! Your day is fast approaching!